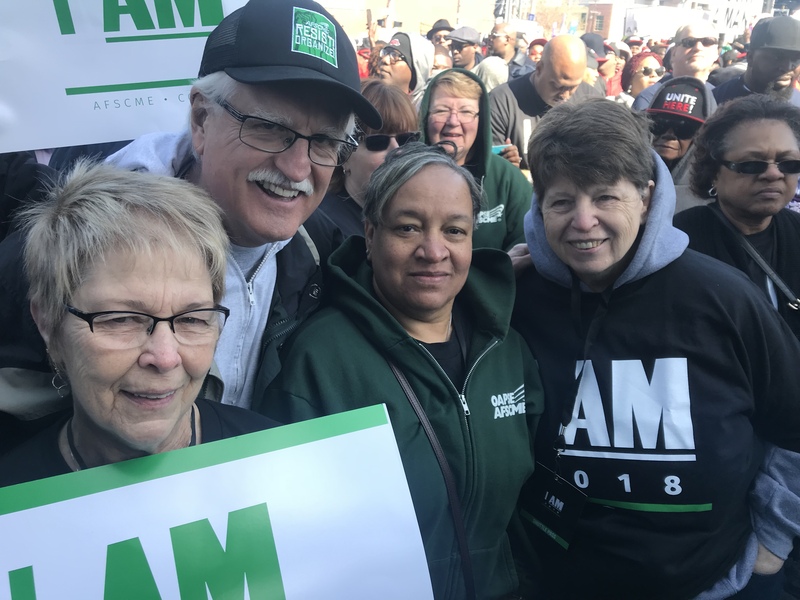 On the 50th anniversary of the death of Dr. Martin Luther King, Jr., OAPSE leaders are joining in remembering him and his relationship with AFSCME, particularly with members of Local 1733. Those AFSCME members, sanitation workers in Memphis, went on strike to win basic human dignity and the right to a union. They marched with signs that read, “I AM A Man,” and were off the job for about two months. Dr. King went to Memphis to support the AFSCME members. It was during this visit that he gave the “I Have Been to the Mountaintop” speech. The next day, he was shot on the balcony of his hotel. Click here to see a documentary about Dr. King’s relationship with AFSCME. 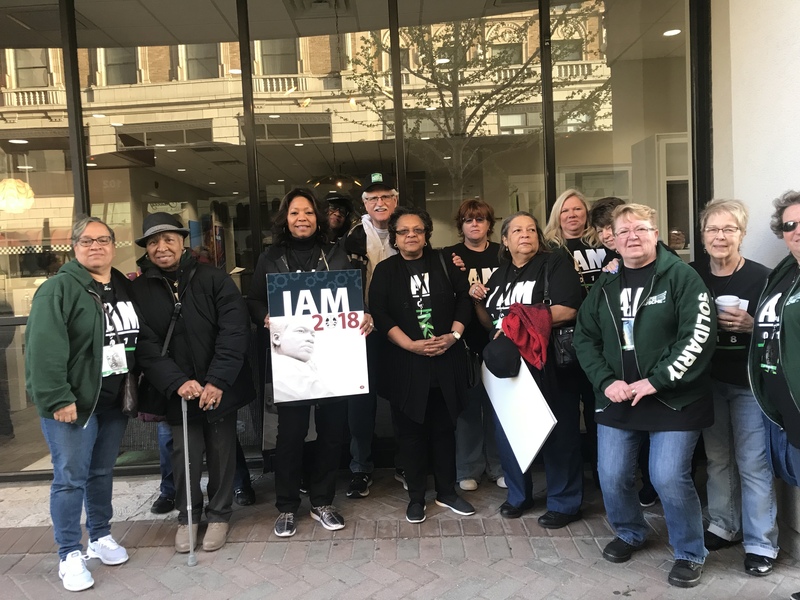 This Documentary Explains AFSCME’s Place in the Civil Rights Movement In 1968, 1,300 sanitation workers in Memphis, Tennessee – members of AFSCME Local 1733 – risked everything for dignity and respect on the job. They went on strike, protesting poverty wages and degrading working conditions, demanding both economic justice and racial justice. The Rev. Dr. Martin Luther King Jr. was not murdered fifty years ago this week at a posh gathering of billionaire campaign donors or at retreat for corporate CEOs. King, the Nobel Peace Prize-winning campaigner for economic and social justice whose who was assassinated in Memphis on April 4, 1968, died while defending the right of public employees to organize labor unions and to fight for the preservation of public services.